Kelly's Korner: Dean, Dean......GO AWAY! In six short days, Scott and I are leaving for a short vacation in the Redneck Riveria with our best friends Laurie and Steve. I can speak for all of us when I say we all REALLY need a vacation. Gulf Shores, AL is one of my favorite places and I haven't been in four years. 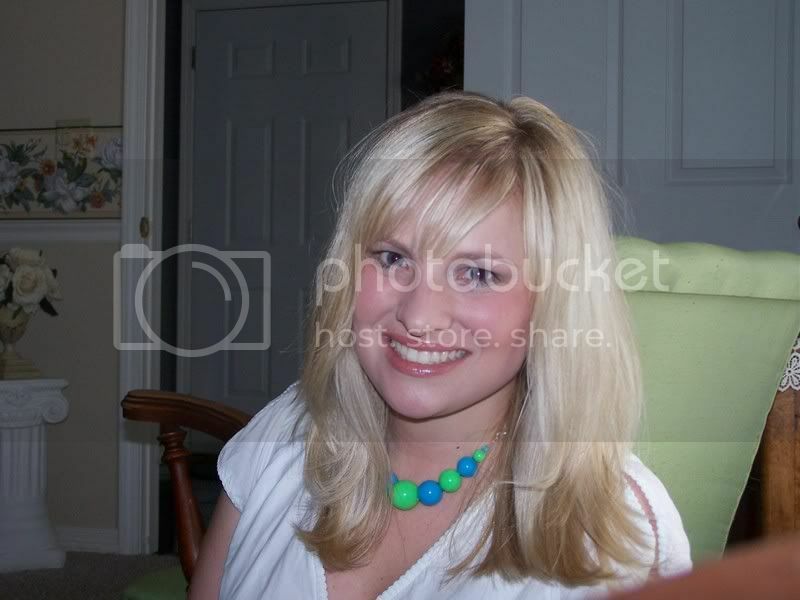 The last time I went was about 3 days after I got engaged when I went with Laurie and two of my other best friends (bridesmaids). 10. Driving through AR, MS, AL and LA - I love the south! 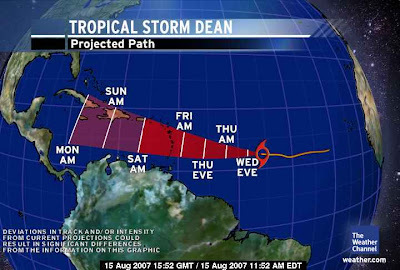 But we need Hurricane Dean to stay away! Come again some other day! Do you have a favorite shrimp recipe?